Gunther is an easy going happy boy! He’s approximately 2 years old and his energy level is low to medium. He would make an amazing adventure pal or office dog. He loves just about everything: people, other dogs, walks, car rides, toys and cuddling on the sofa. 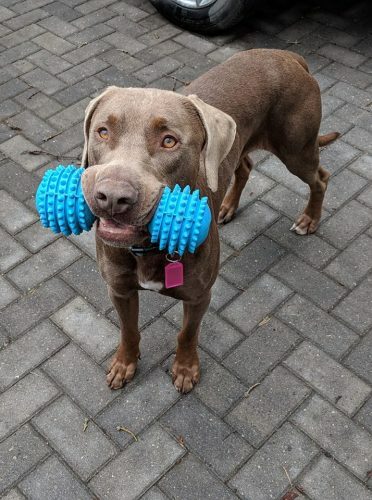 He’s quiet at home and is able to entertain himself just fine; he’ll grab his favourite toy and will sit for an hour on the back porch watching the squirrels in the trees. He has good dog to dog etiquette and gives space to his foster sister when she doesn’t want to play. He sleeps in his crate well and hasn’t barked. 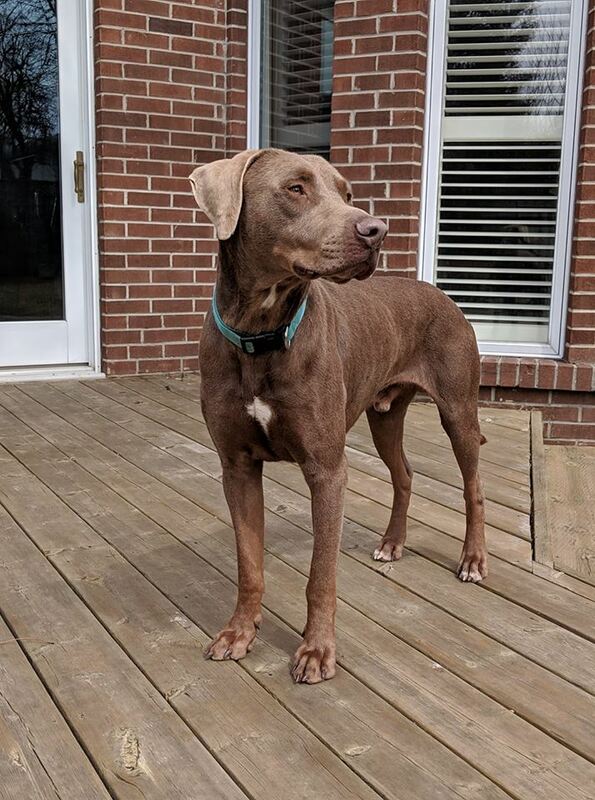 He’s a brave boy who loves to explore when out on his walks and would need a family who can continue working on his leash training and recall skills. Gunther is an awesome boy and would make an amazing life long companion!